Virginia homes are built well but are not indestructible. 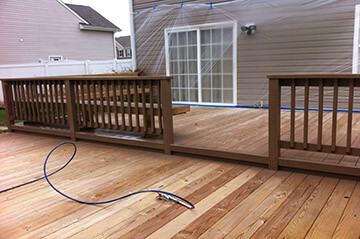 High-pressure washing is great for stronger materials that can take serious abuse like concrete, but this cleaning technique is harsh and if used improperly can damage your home and any decks built with soft wood. 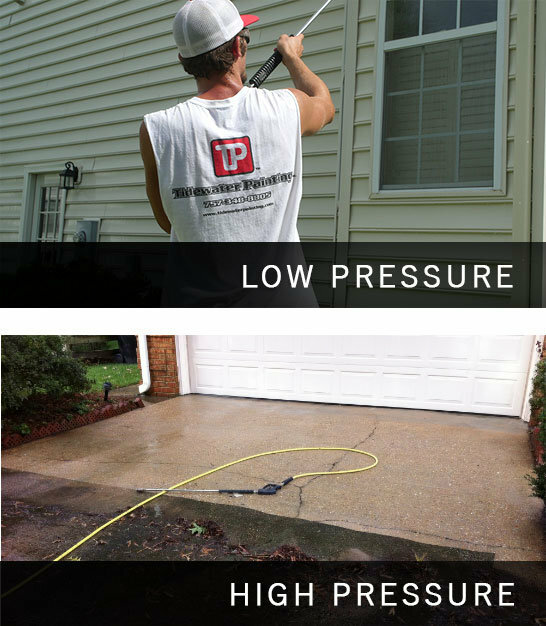 High-pressure power washing is extremely effective at removing dirt that has accumulated under the surface of concrete and other durable materials. 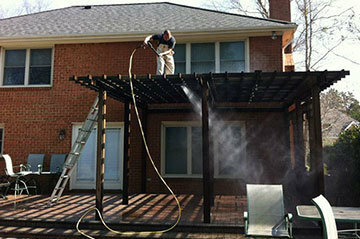 Low-pressure washing is a lesser-known pressure cleaning technique but is very popular among professional pressure washing companies because of its ability to make your home look uniformly clean as well pull deep stains without harm to your home. Also known as soft washing, this technique uses a stream of water at low pressure to eliminate dirt and accumulated grime and stains from surfaces by agitating the offending elements. Tidewater painting uses the proper soaps, detergents, and chemicals to match the materials on and around your home including everything from vinyl to brick. This is a low-pressure, highly-activated agitation blend that is safe and prepared to cover everything from algae (commonly mistaken as mold or mildew), grime, insect droppings, and grass stains to rust. Regardless of whether or not you pay attention to how your driveway looks, having a clean and beautiful driveway significantly increases the value of your home….